The internet will do to venture capital what it has done to every industry. Moving online generally makes industries more efficient by increasing transparency, trust and access. The platforms that can efficiently match entrepreneurs and investors will stand to build deep and enduring financial services business that have the potential to become the economic powerhouses of the next century. Being an early employee of one of these platforms, at this moment in history, is a once in a lifetime opportunity. Public equity crowdfunding (with small investors) is not yet legal in America, so most of the platforms are stalled waiting for rule changes from the SEC. Only a small number of platforms have gotten busy in the meantime building a sustainable business targeting larger investors. SeedInvest has focused on simplifying the startup investing process so that it becomes efficient enough for new types of investors (both large and small) to invest directly in startups. Family Offices, Hedge Funds and Ultra High Net Worth Individuals have not traditionally invested directly in startups because of the inefficiencies in finding, evaluating and executing on startup investments. These big investors have traditionally only had access to early-stage startup investments through old-school venture capital firms. 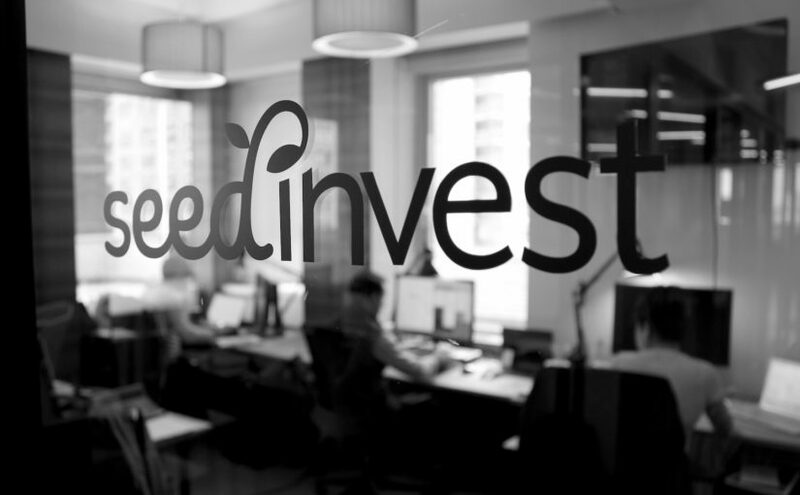 The SeedInvest team are uniquely well positioned to take on the challenge of disrupting venture capital. Co-founders Ryan Feit and James Han both have experience in Wall St banks as well as Private Equity firms. The rest of the SeedInvest team is rounded out with engineers from Citigroup and Amazon, investment bankers from Goldman Sachs, former VCs, big brand marketers and a healthy mix of startup players. I’m proud and humbled to have the chance to work alongside “A players” who are attacking a big problem. Being part of a passionate team is really important to me so I’m loving being part of SeedInvest. My background in economics has always made me interested in the business value of marketing. At SeedInvest I’m focusing my time on proving out our unit economics. One of the main tasks for a company after raising their Series A is to prove that a dollar spent on marketing can return more than a dollar in profit. This is what makes the business case for raising a Series B and additional rounds of growth capital. My increased focus on key business metrics means that I now split my time across marketing activities that can directly help us get more investors making more investments on the platform. We’ve built a well rounded marketing team at SeedInvest that includes branding, events and partnerships. That means I can focus ruthlessly on tactics that can generate immediate ROI such as digital advertising, email marketing, PR, SEO and website optimization. I still believe in the power of design thinking and creativity, but adding good data on top of fundamental human insights is like adding rocket fuel to a company’s growth. We’re doing some cutting edge work on tracking users all the way from the first marketing touchpoint, through their relationship with us, to an eventual investment on the platform. I’ll be sharing some of the things that we are learning on the SeedInvest blog so that other startups can help optimize their marketing funnels and prove the business value of digital marketing.